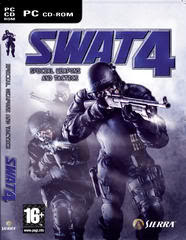 Open up Swat4.ini and go down to the title "[Engine.GameEngine]". Now, during the gameplay, just type the ~ button next to 1 key, and the command console will appear and type these in. You must enter every code at the beginning of every mission. E.G if you enter god in one mission, in the next mission you will become Vulnerable again and therefore, must enter the cheat again. Bring up the console ingame using the ` button. Use the ' button if you have a European keyboard. The optiwand is a critical tool. If you do not plan to carry a wand, it is a good idea to make sure more than one AI officer is carrying an optiwand in case one with the wand is incapacitated during a mission. It is a good idea to optiwand around blind corners. Your AI officers can also be ordered to optiwand around most corners. Increasing the difficulty will also increase the morale of suspects and civilians. Civilians or suspects who are not compliant at first can be made to comply using non lethal weapons such as the less-lethal shotgun, taser, or grenades. An effective way to make suspects and civilians comply is to shoot them with a lethal weapon in a non-lethal area such as in the leg or the arm. However, you will achieve higher scores for not injuring civilians or suspects. Any suspects caught behind a door that is being blown by C2 will be momentarily stunned. Crouching, moving slowly, and firing in short bursts keeps the targeting reticule tight and will make your shots more accurate. Officers ordered to stack up against a door will also automatically check the lock and report whether or not the door is open. Grenades are best used before entering and clearing rooms. Make sure to select the best grenade for the situation. Most primary and secondary weapons are equipped with a flashlight. Use these to illuminate dark areas that are difficult to see in. To help those just wanting to get through the career mode easily. Change the "0.5" in easy, for instance, to 0.0 to get unlimited health in easy mode. You can still be injured (can't run, can't get 100/100) but you will not be killed and neither will your squad mates. You'll have Benelli M90 Shotgun (if selected as an equipment) with 1000000 ammo. The team members will also have the same effect if they have Benelli M90 Shotgun as their primary weapon. 1. Please don't get confused between RoundBasedWeapon and ClipBasedWeapon. Put the string "MagazineSize=1000000" in Heckler & Koch MP5 or M4 Carbine will give you no result since all machine guns, sub-machine guns and pistols (except for Taser Stun Gun) are "identified" as ClipBasedWeapon. I don't have any idea about changing the ammo value for these guns. 2. Watch the string "BadGuy" in every weapon section, usually in the middle of the document (SWATEQUIPMENT.INI) since putting the string "MagazineSize=1000000" in these sections will result the suspects get the same ammount of ammo just like yours. The common example are ; Benelli M90 compared with ; BadGuy Benelli M90.